A new year is always a good time to restart. It’s often a time of renewal, recommitment, and rededication. Many of us make resolutions to start working out more, eating healthier, maybe even drinking less alcohol. All these are great! It’s always great to dedicate yourself to YOU! My resolution is simple. New year, same me. I am dedicating 2019 to ME! One way I’m doing this is renewing my dedication to yoga. I am continuing my intention to practice yoga on a daily basis. That can be quite a daunting task. Most of the time when I wake up, I don’t want to get on the mat. I want to stay in bed and be lazy…especially on the weekends. I often need motivation to participate in a daily practice. That’s where YouTube and my favorite YouTube Yogi comes in. 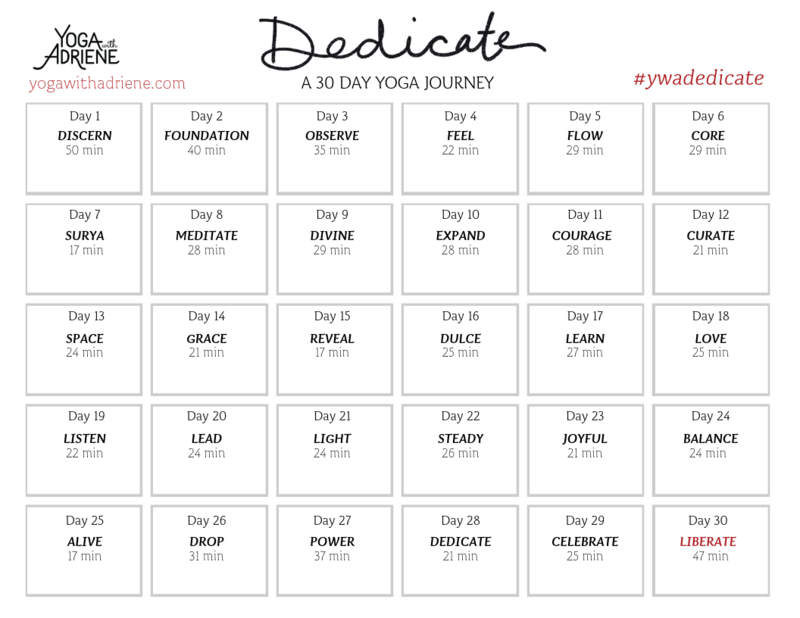 Every January Adriene from Yoga with Adriene puts out a month long practice to rejuvenate a daily yoga practice. This year, it’s called Dedicate. What a perfect name for 2019?? Some of the videos are long, some aren’t. So far I’ve been able to find time to do all of them. I have to say, this has been a great way for me to keep myself accountable. After 20+ days, it will once again become a habit. I wish you all the best of luck keeping your resolutions this year. I know I will do my best to keep mine. Here’s to another year, another 365 pages to fill in the book of life!